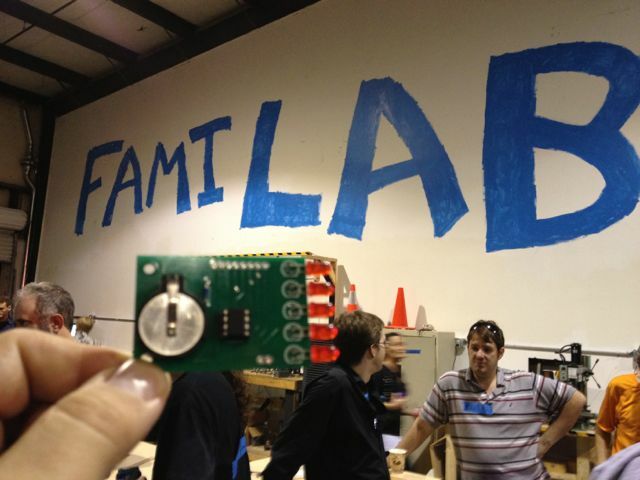 For some time, we’ve wanted to make a FamiLAB kit that could be used for soldering classes, and then extended by the students as they moved into learning microcontrollers or other topics. As with most things in life – it took someone with some passion and drive to make it finally happen – kudos to Mike Bakula for prototyping a kit, getting input from the community, and then producing our first kit! 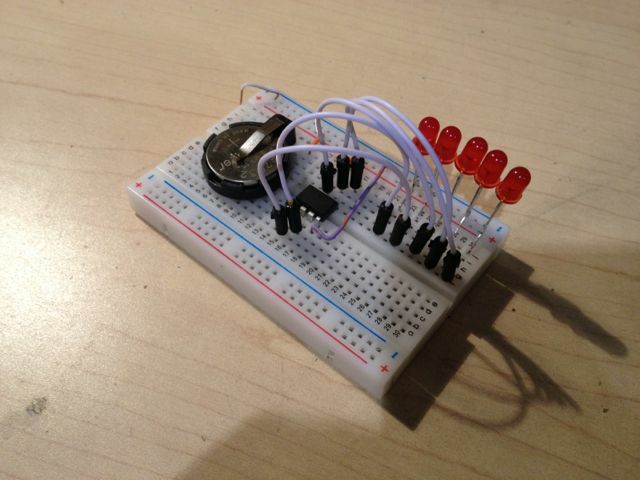 This kit uses an ATTINY to light up the LEDs on the end, and when waved back & forth or spun, you can read a word of text! 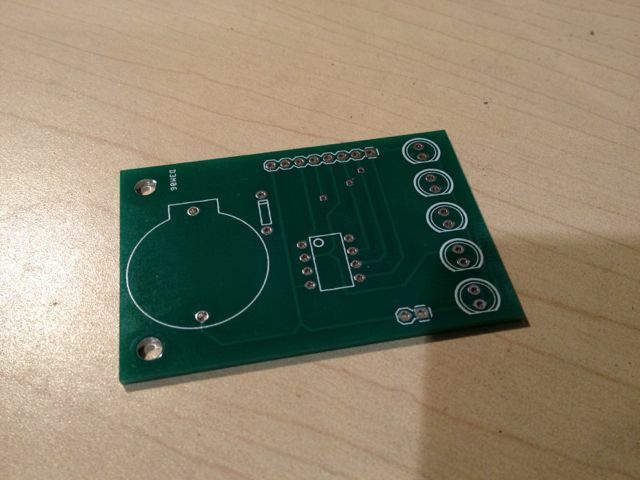 Mike built the first PCB during the April Open House and then passed it around for everyone to enjoy :) We still need to do a production run, order all the parts to populate the boards, and design a new class using the boards – stay tuned! 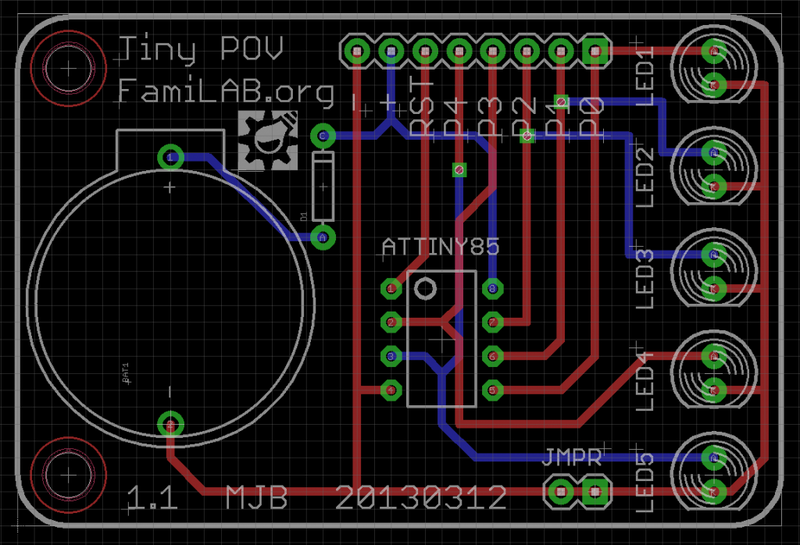 Here’s the first PCB from BatchPCB before any components were added…we had a silkscreen error, so no FamiLAB logo on this board – but it will be there on the production run! 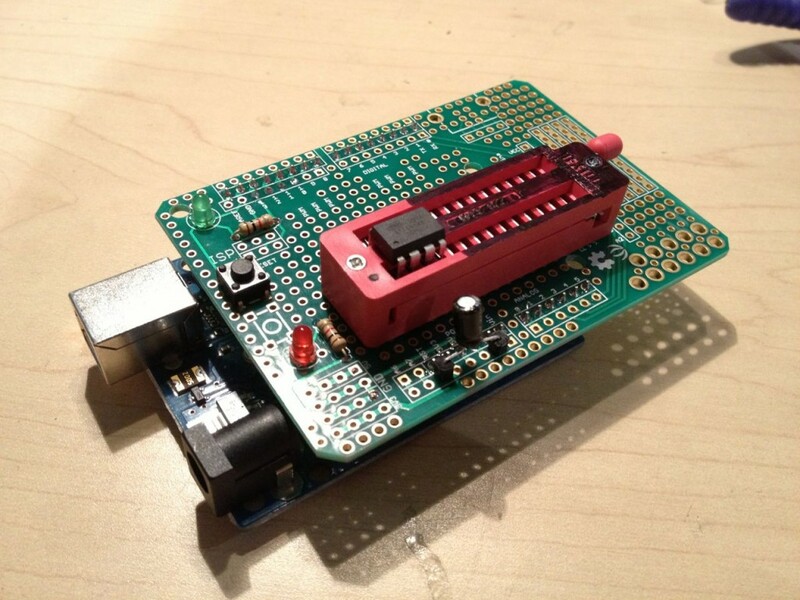 Mike, This is a great project for the soldering classes. It’s also a great example to show a project go from concept through completion… Thanks, I can’t wait to make one and wave it around.